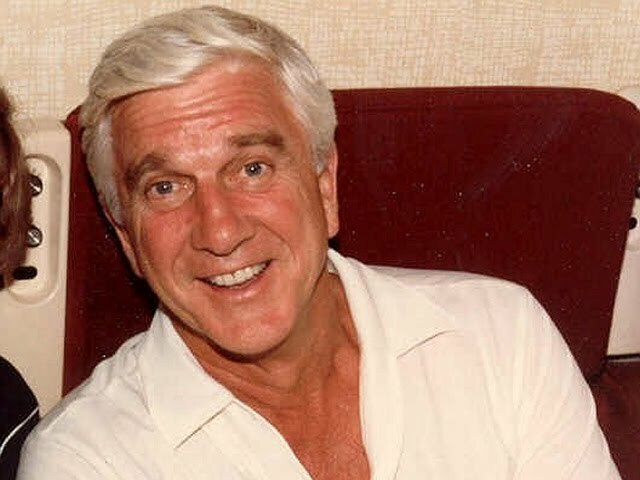 Leslie Nielsen has passed away. Canadian talk radio station CJOB 68 in Manitoba reports that he passed away due to complications from pneumonia at age 84. His nephew Doug Nielsen revealed the very sad news tonight that after being hospitalized for nearly two weeks, the infection was "just too much and at 5'30, with his friends and his wife by his side, he just fell asleep and passed away." When I was a kid there were plenty of movies I saw well before I was old enough to truly enjoy and understand them. Ones that stick out the most are Airplane! and the first two installments of the Naked Gun films. Though there were plenty of jokes that went over my head, I remember loving the goofy nature and slapstick elements of those comedies. I always knew him as a comedian and was completely blown away when my mom and I watched some of his early work from the 60's. His more serious roles include Peyton Place and The New Breed and even appearances in Alfred Hitchcock Presents, Walt Disney's Wonderful World of Color and Columbo. But it was his role as Dr. Rumack in Airplane! that would lead him to one of his most iconic roles as Detective Frank Drebin in the comedy series The Naked Gun. Though we greatly admire his early work in drama, it's his comedies that stick out the most. Below I've included a montage video of some our favorite funny Leslie Nielsen moments. Enjoy! This is truly a sad loss today for the entertainment industry and audiences alike. As I continue to get older, the celebrities that pass away are hitting a little too close to home, more so than before. Fortunately, Leslie Nielsen has left behind a legacy of greatness in drama and comedy, stirring up countless emotions throughout a wonderful career that spans for over 60 years. We will remember him fondly. What are some of your fondest Nielsen memories? Wow. Are you serious? Sad! I loved that guy!